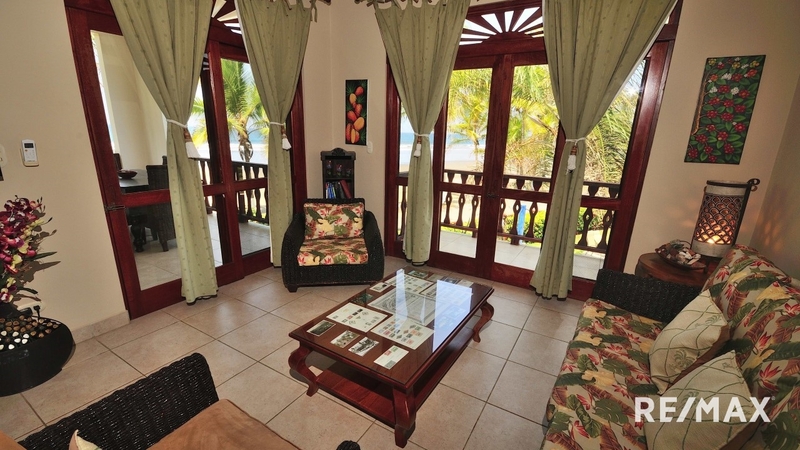 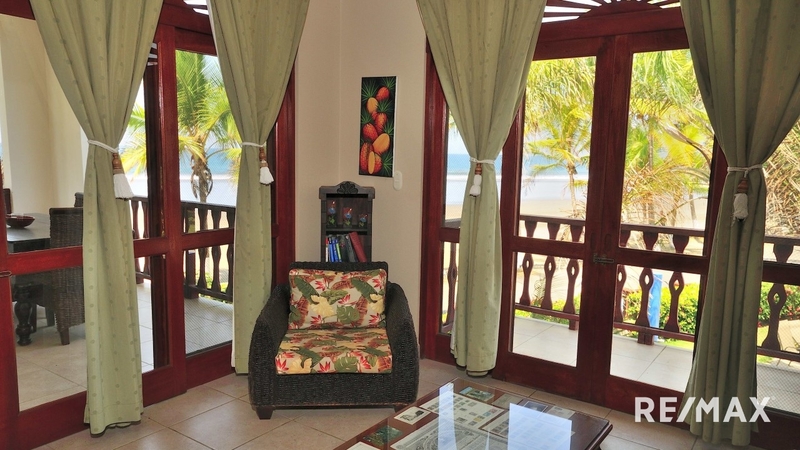 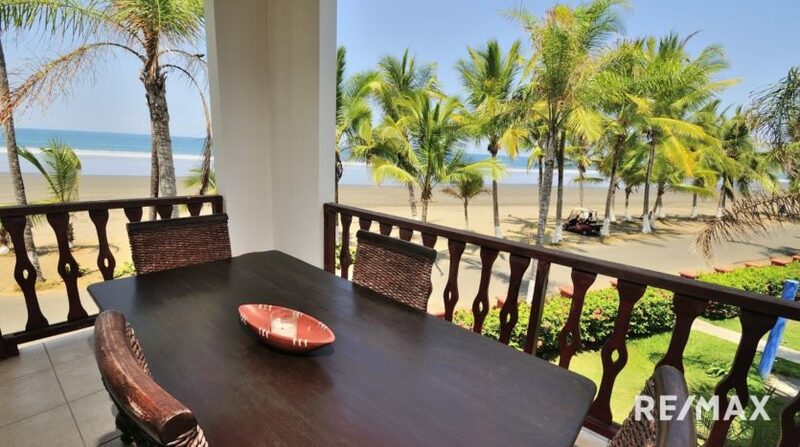 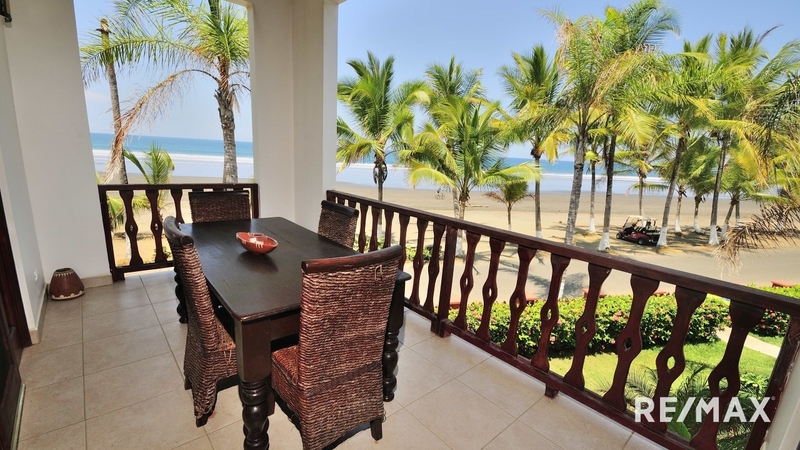 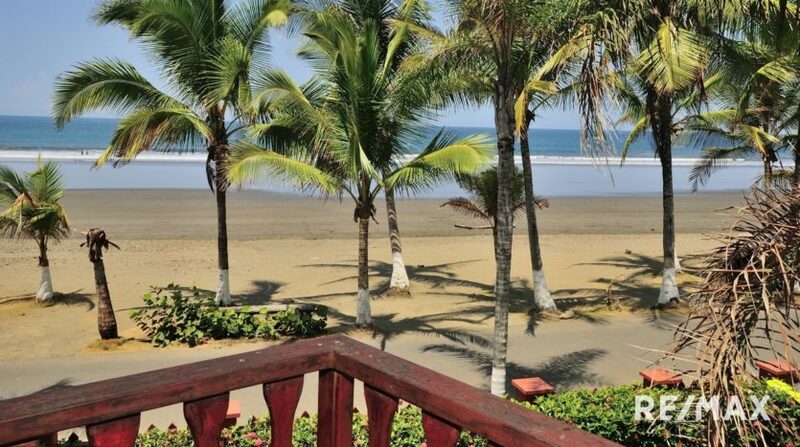 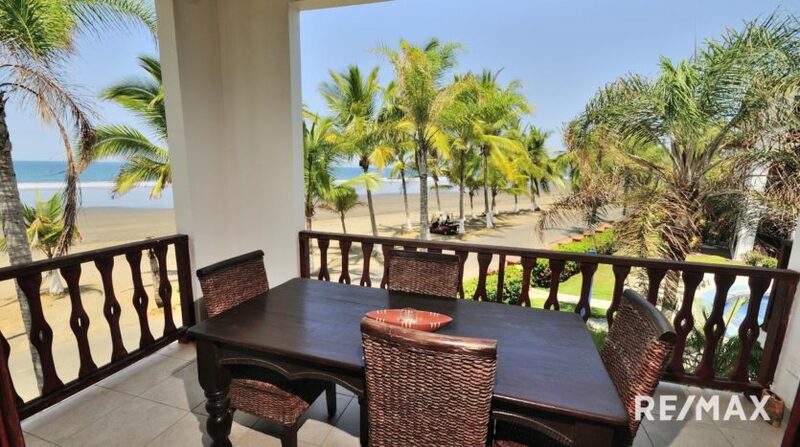 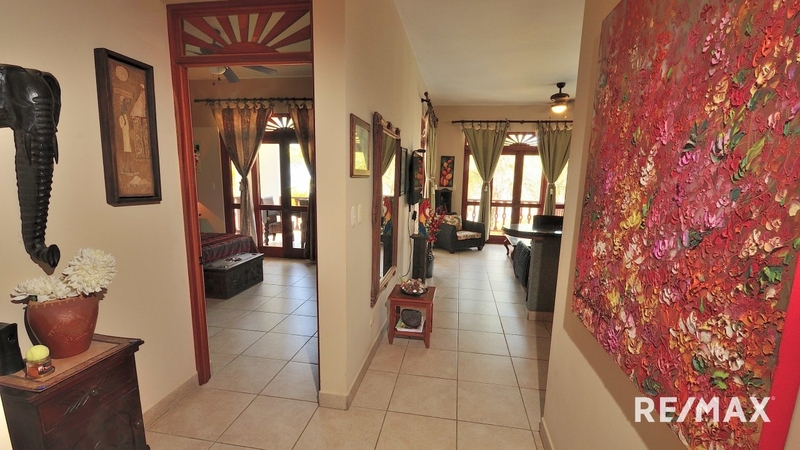 This Bahia Azul 3B direct oceanfront condo for sale is located on the 2nd floor. You can’t get any closer to the sand and surf! 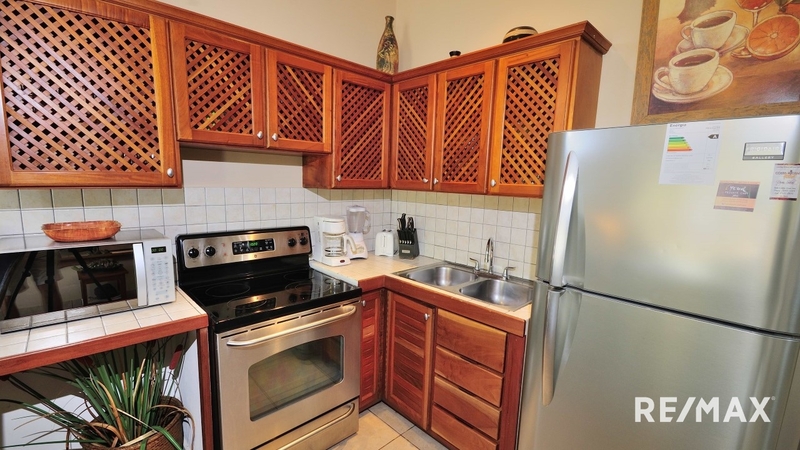 This corner unit is 2 bedrooms and 2 bathrooms among 1,065 square feet. 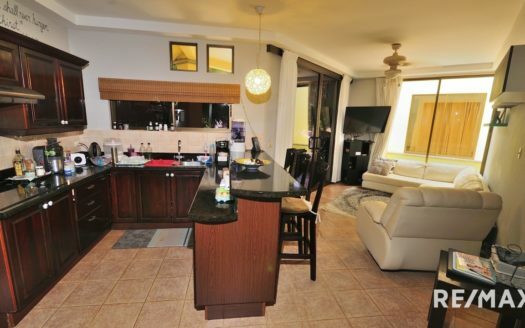 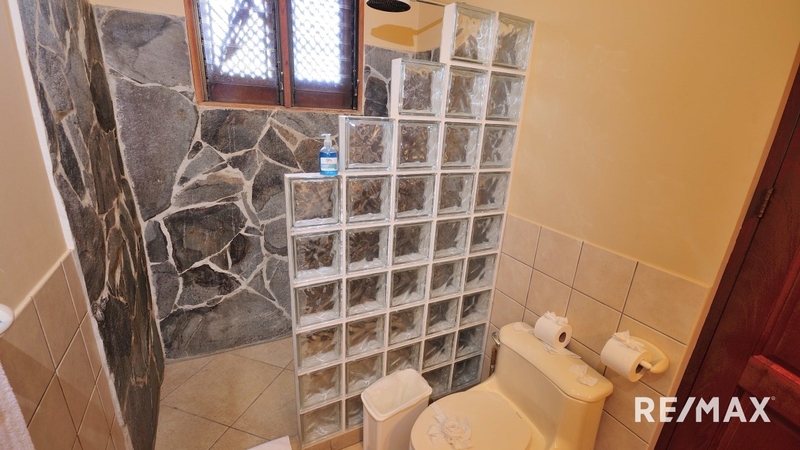 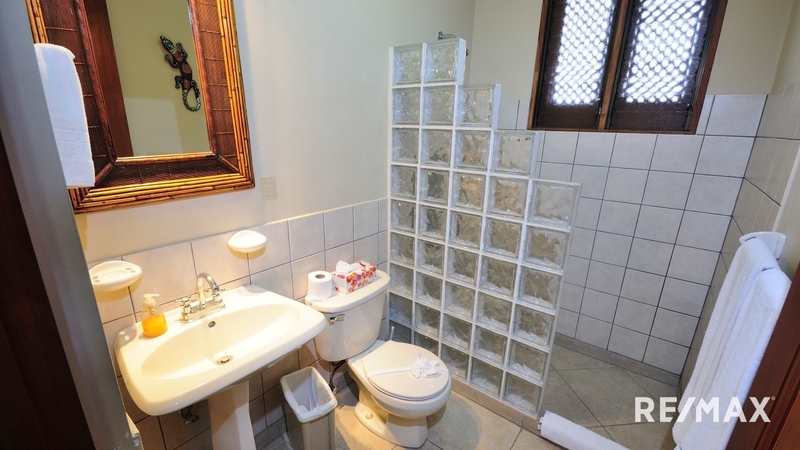 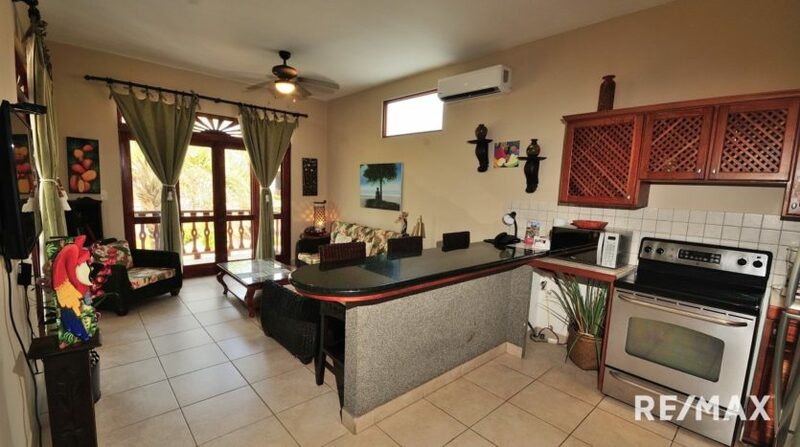 The Seller is offering this residence fully furnished and turn key ready. 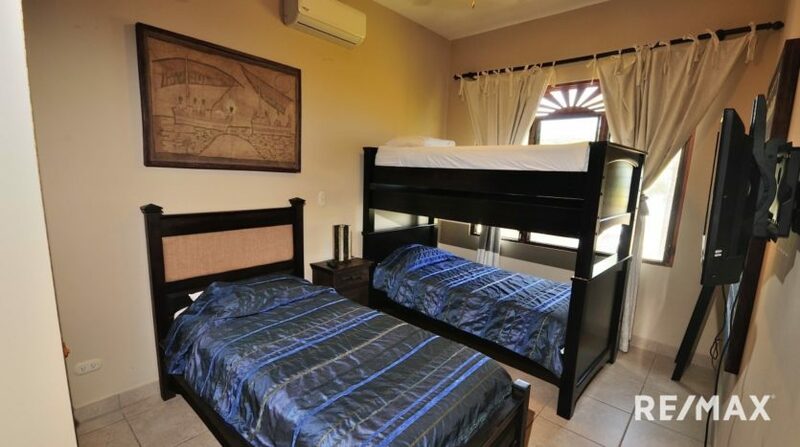 The master bedroom features a king bed and the 2nd bedroom has a bunk bed as well as another twin bed. 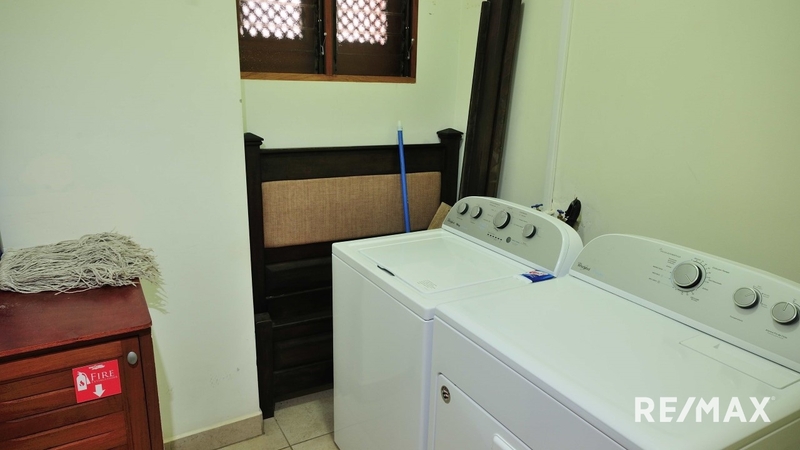 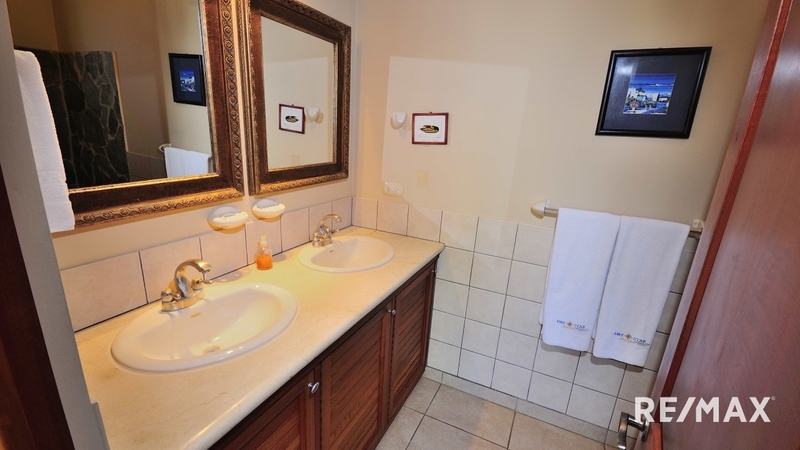 There are TV’s in every room as well as new air conditioning units. 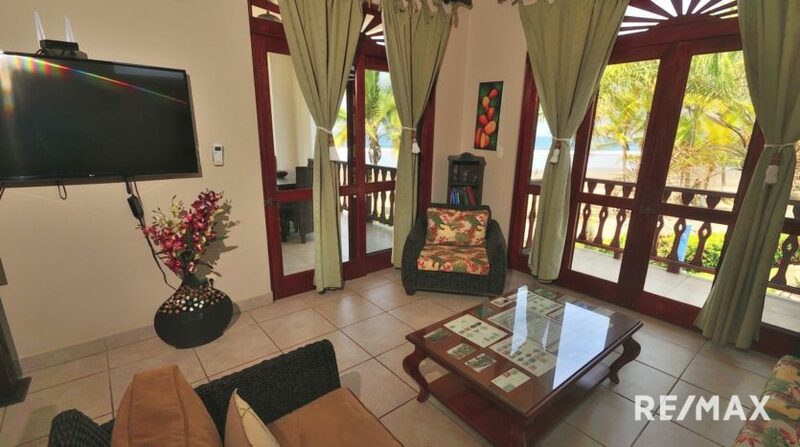 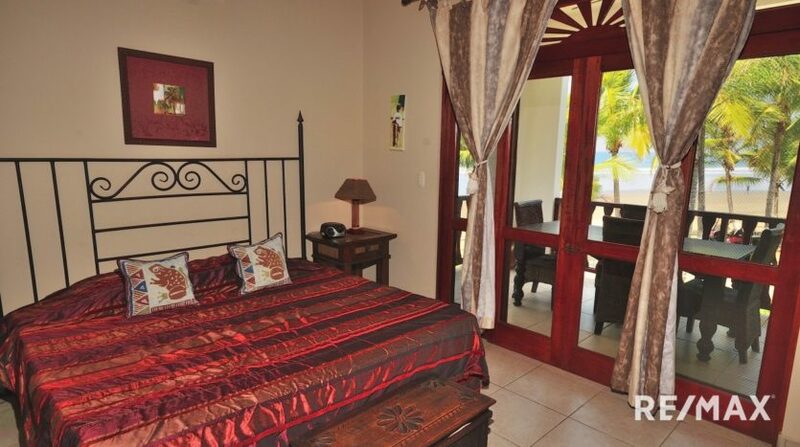 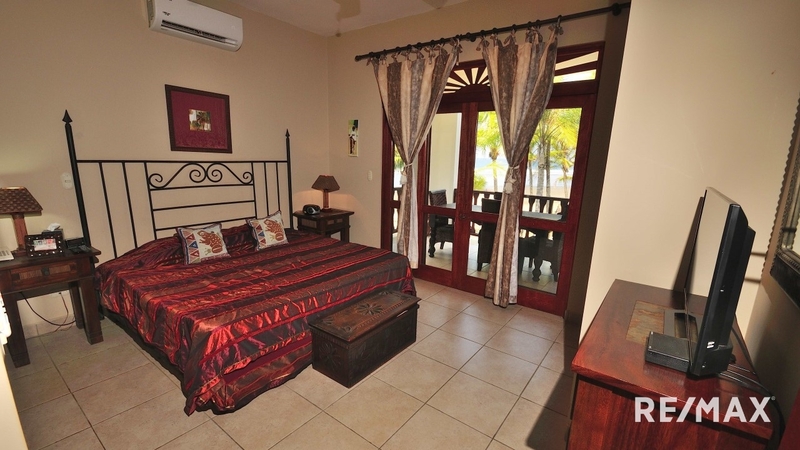 You can enjoy amazing ocean and sunset views from both balconies as well as both bedrooms. 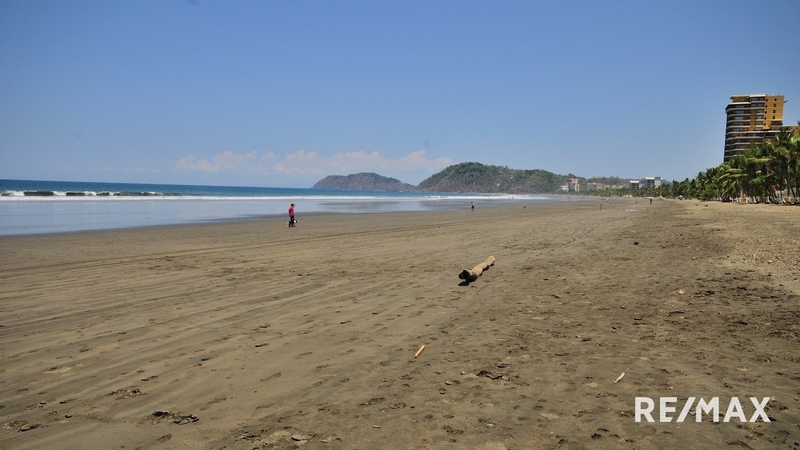 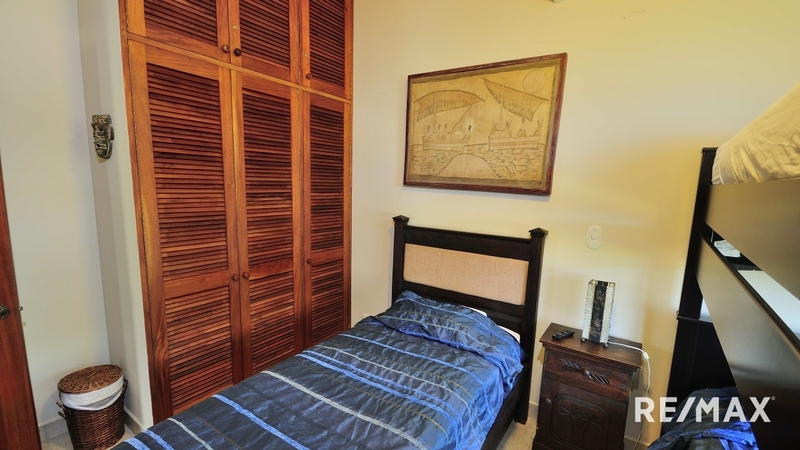 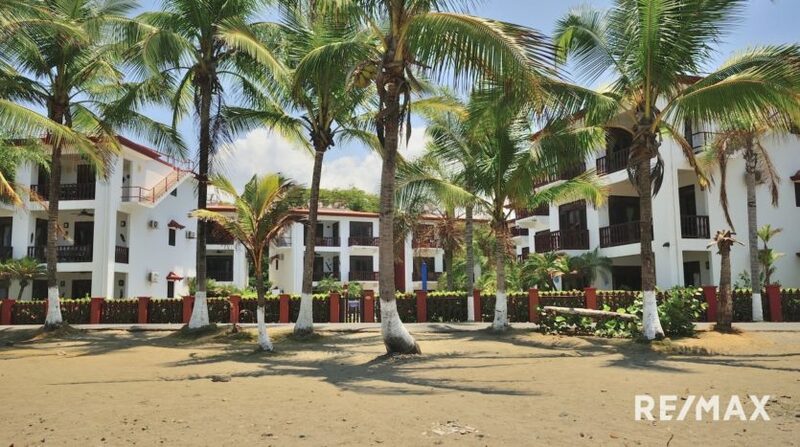 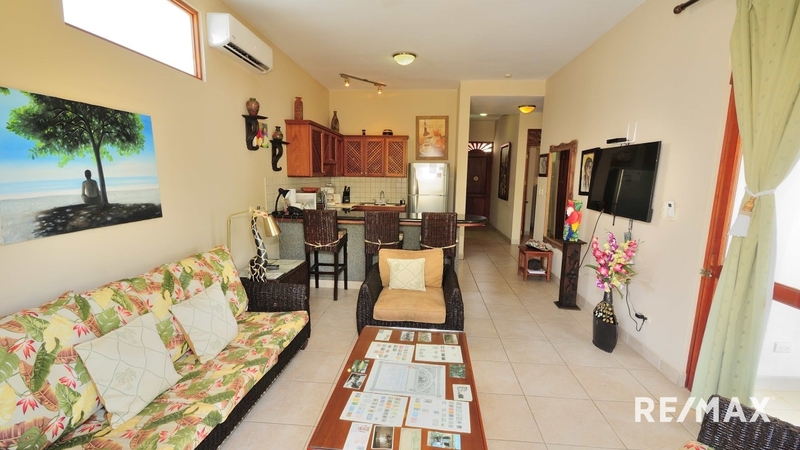 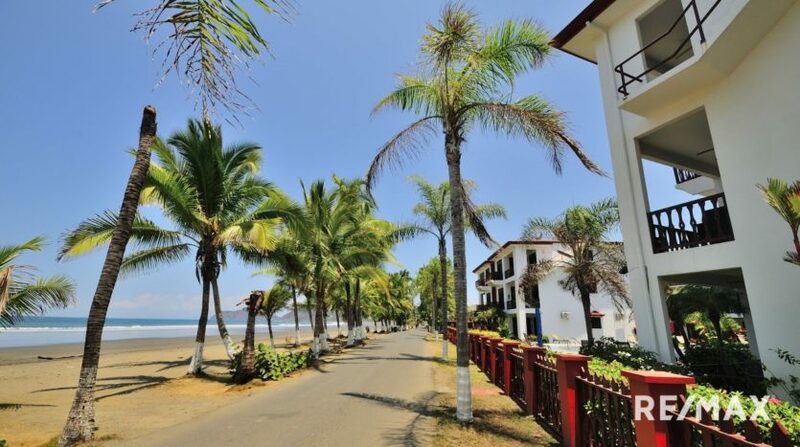 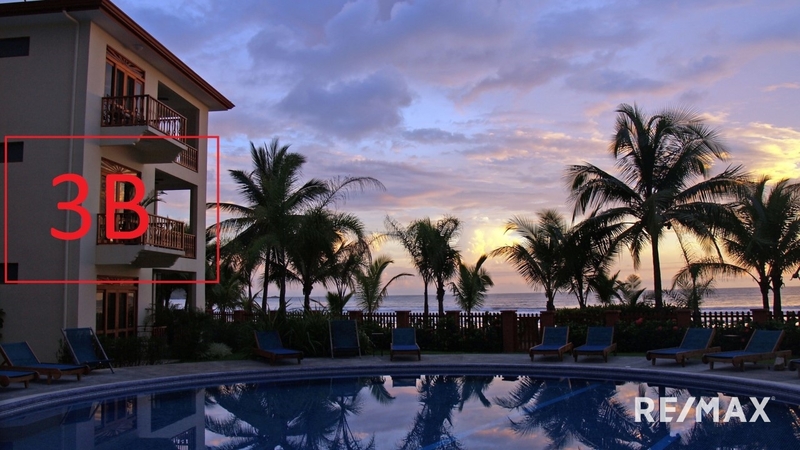 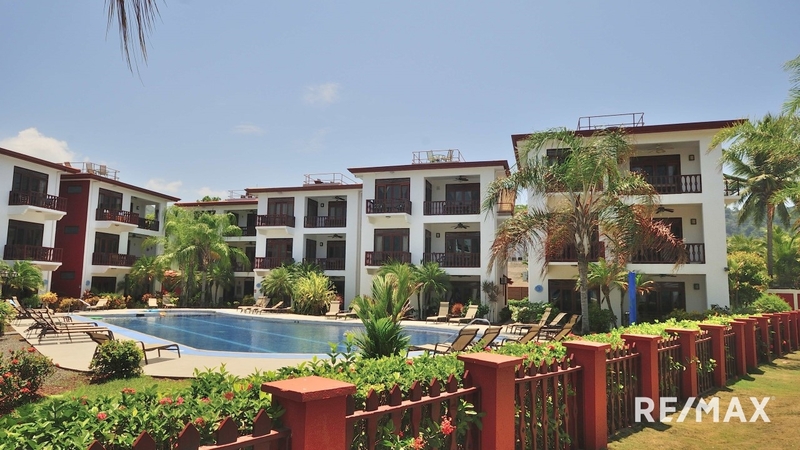 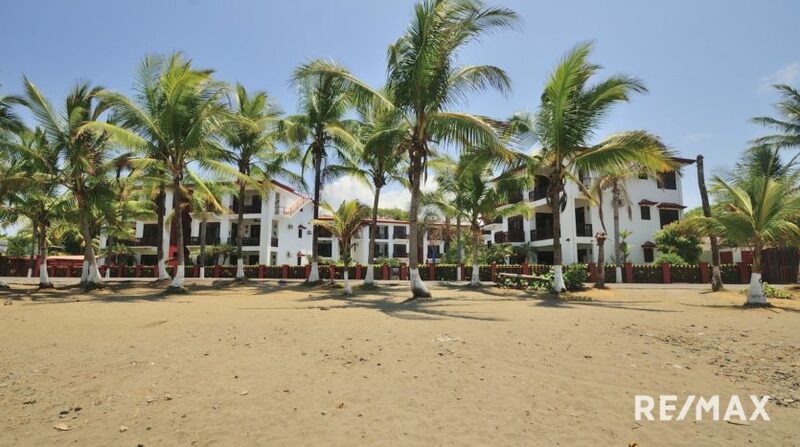 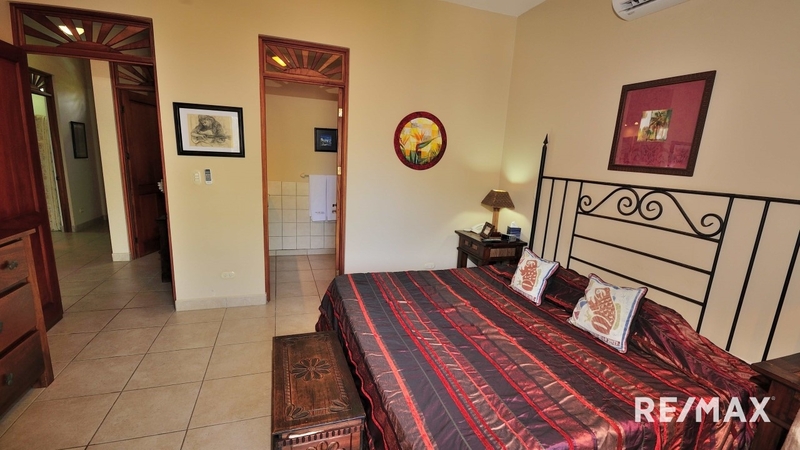 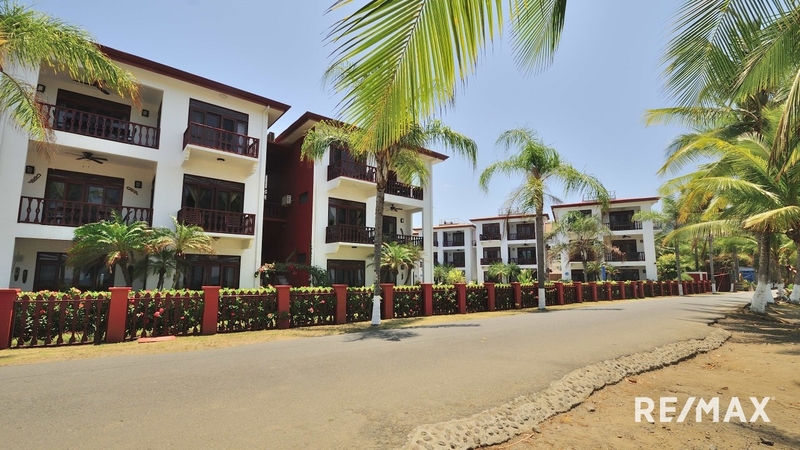 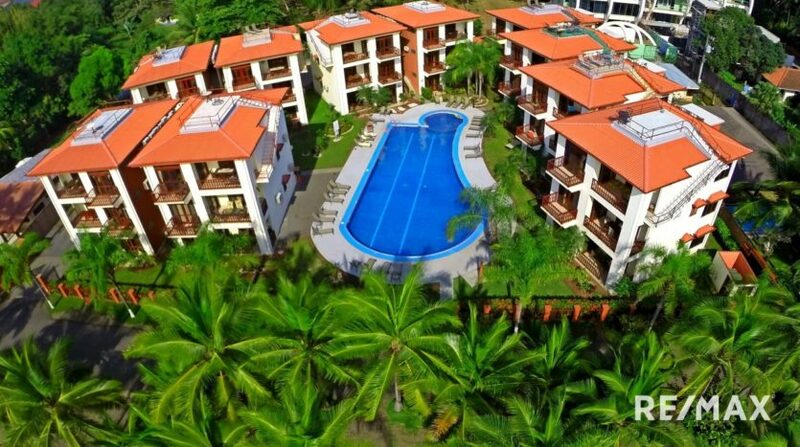 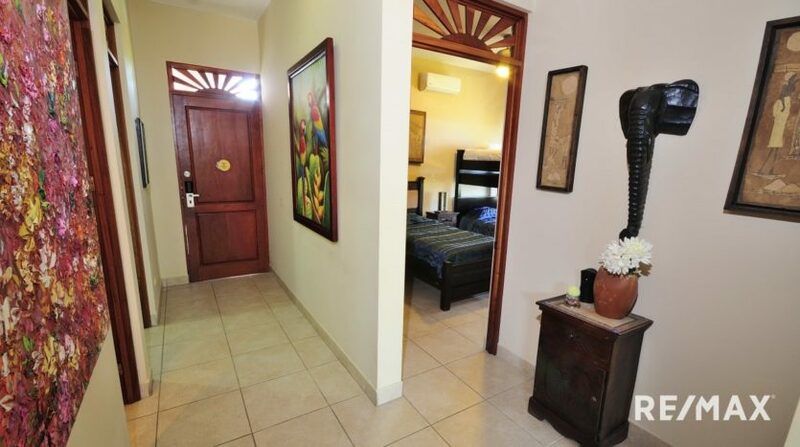 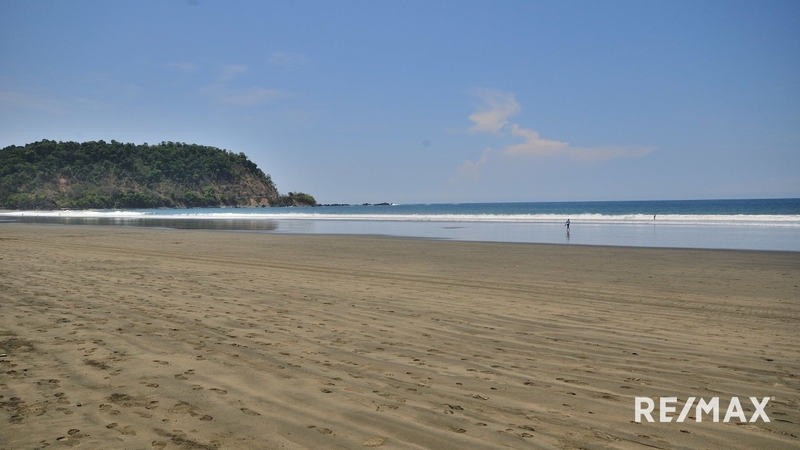 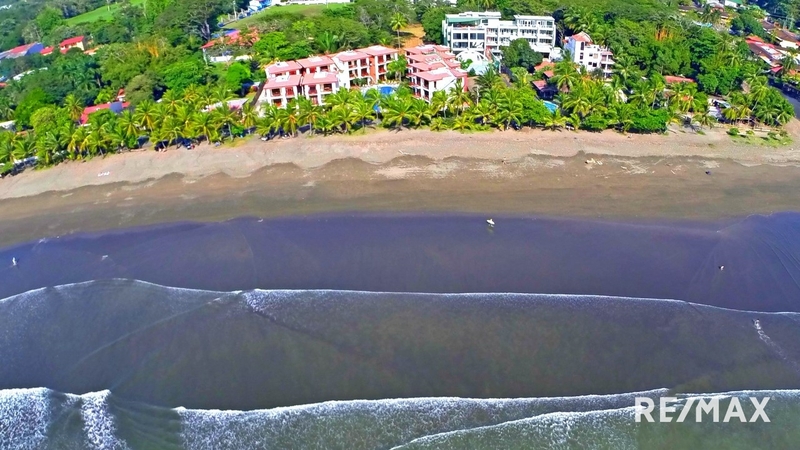 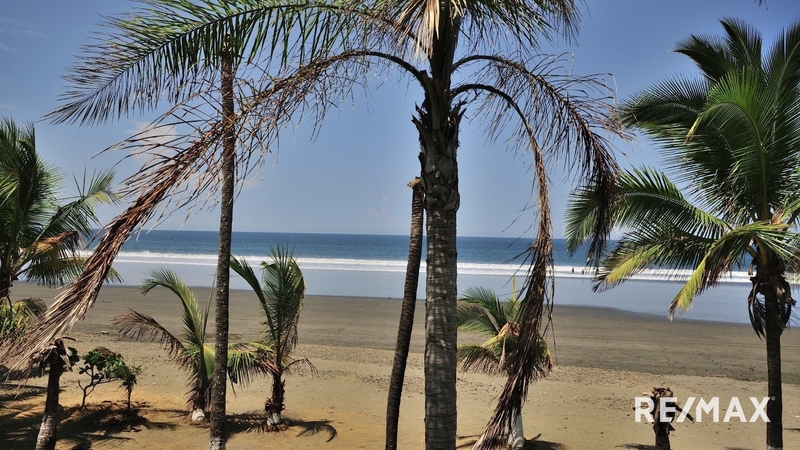 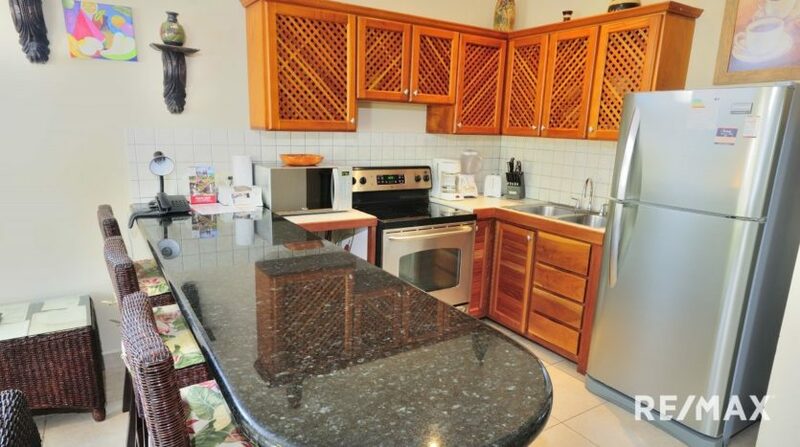 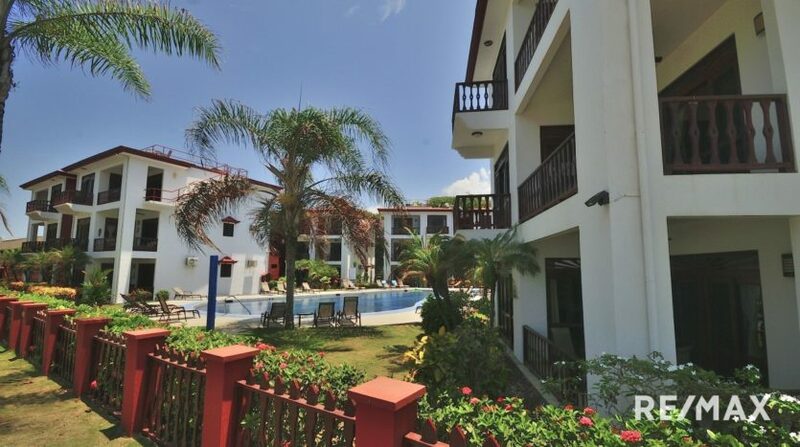 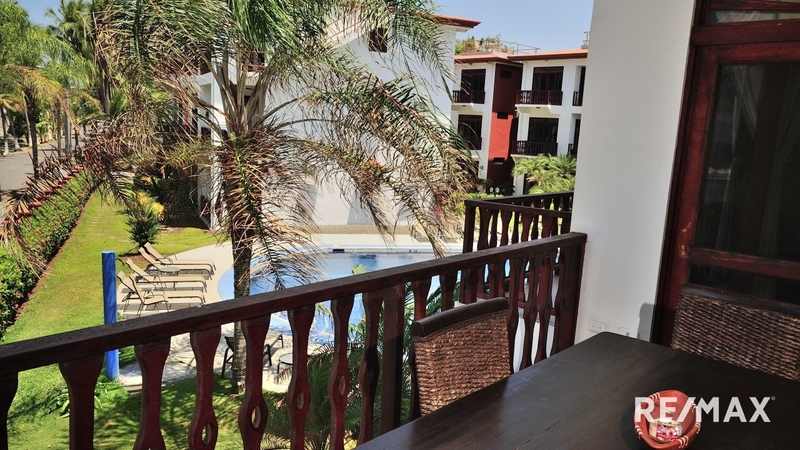 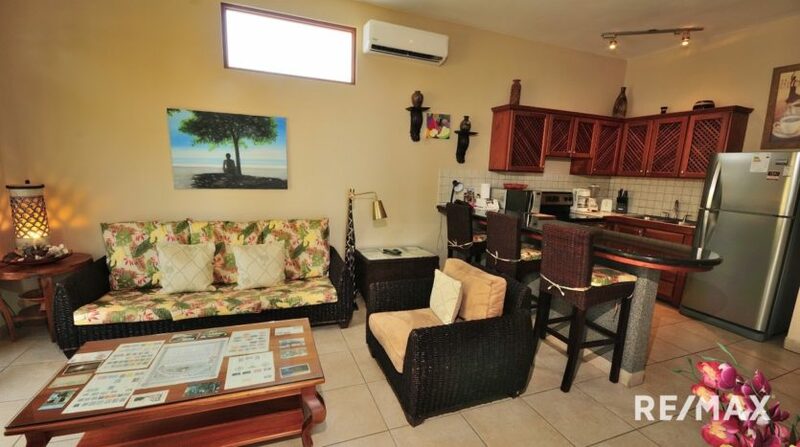 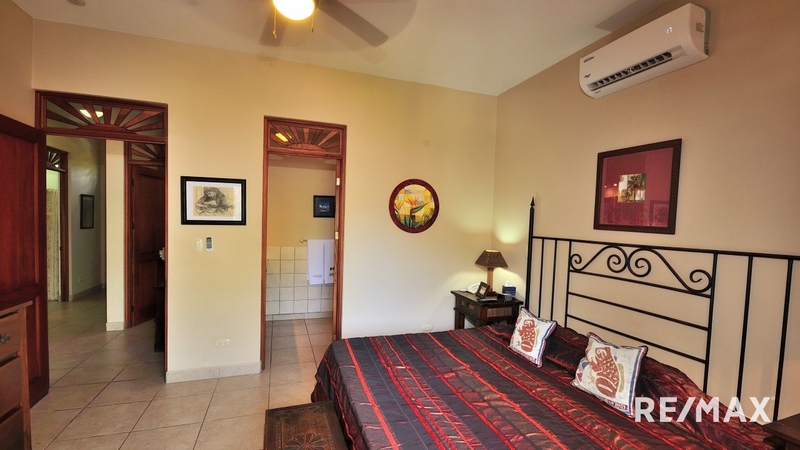 Bahia Azul is an oceanfront condo complex comprised of 30 units surrounding a large pool. 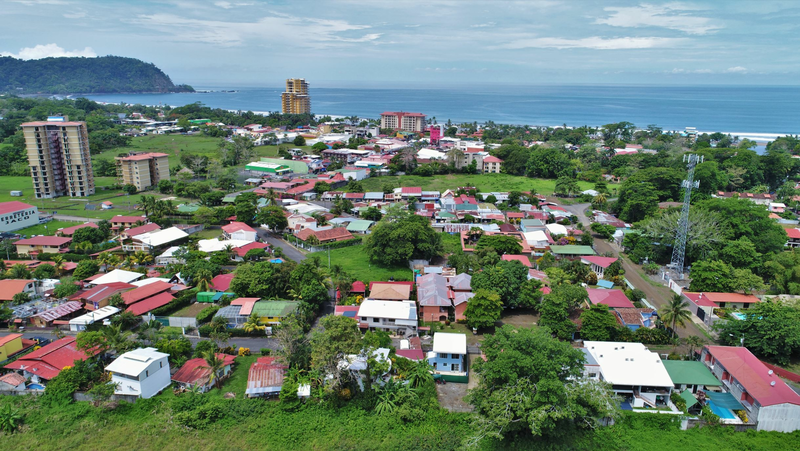 This botique community is centrally located on the beach so you can easily walk to all the attractions including the new Jaco Walk plaza that is just a few minutes walk. 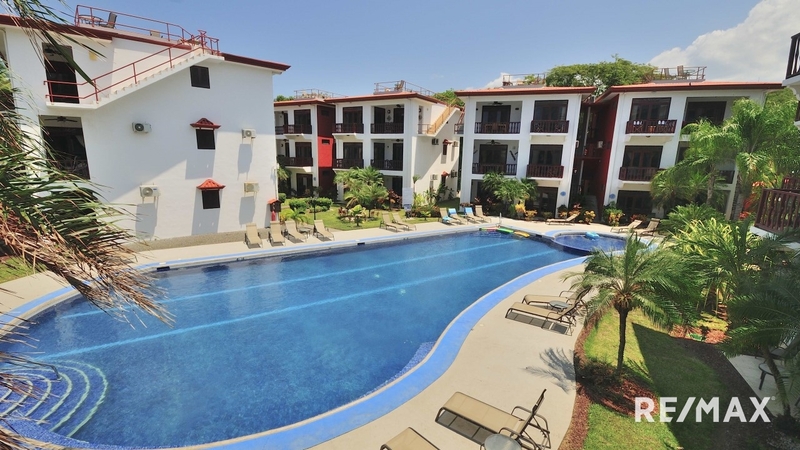 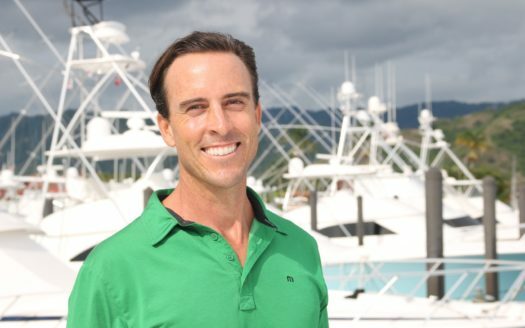 This community is great for full time living or as a vacation rental as it is popular among renters.